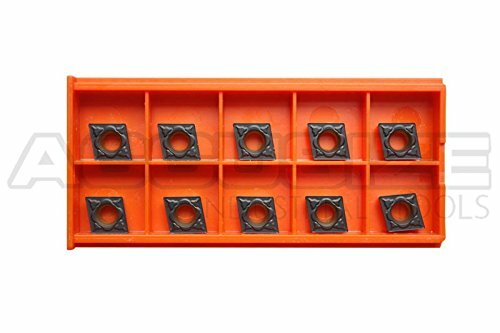 ---Modle 10pcs CNMG 431 + 10pcs WNMG 431 + 10pcs TNMG 331 . ---Material: Carbide For the finishing of steel Coating : PVD . 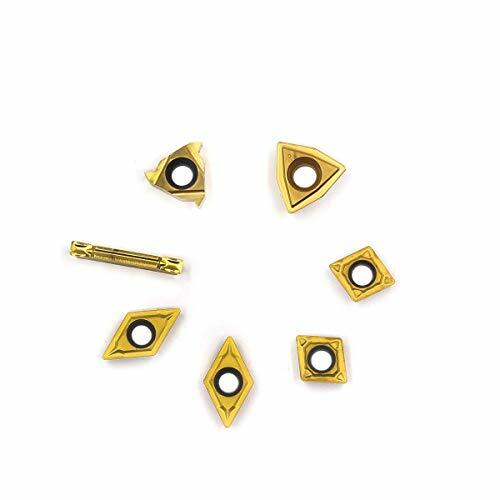 ---The inserts has high hardness, low friction coefficient, good wear resistance and chemical stability . 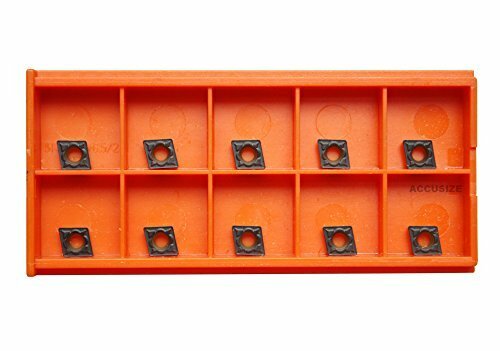 ---Carbide insert 30 pieces in 3 box, packed in plastic containers, safe and easy to store . ---Metal surface treatment, good wear resistance, good chemical stability . 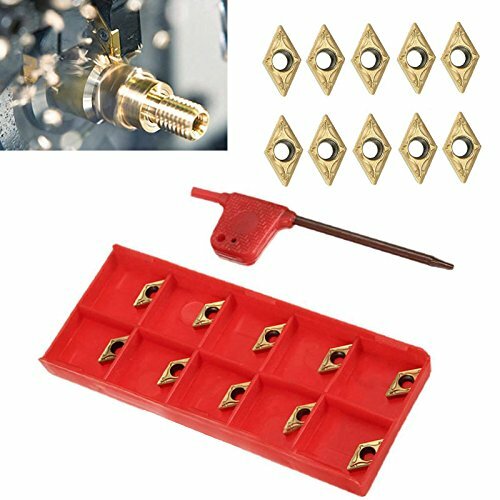 Modle 10pcs CNMG 431 + 10pcs WNMG 431 + 10pcs TNMG 331 . 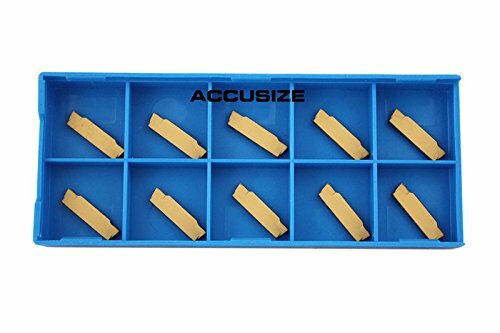 Carbide insert 30 pieces in 3 box, packed in plastic containers, safe and easy to store . Cobra Carbide screw-on style turning insert used for semi-finishing and finishing on a wide range of materials. 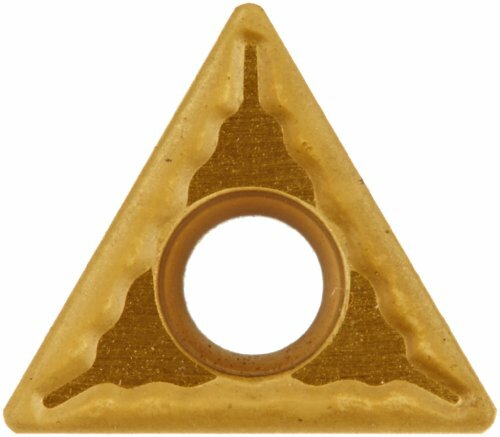 80 degrees diamond single sided insert with molded chipbreaker. Multi layer coating TiN/TiC/TiCN/TiN for turning and milling carbon and alloy steels, tools steel and stainless steel. 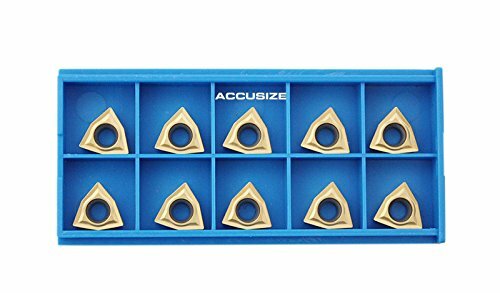 Provides longer tool life than uncoated grades Solid carbide tools offer long tool life and faster cutting speeds than other substrates, but are more brittle and must be used with rigid toolholding systems. Shank Size (H x W): 3/4" x 3/4". 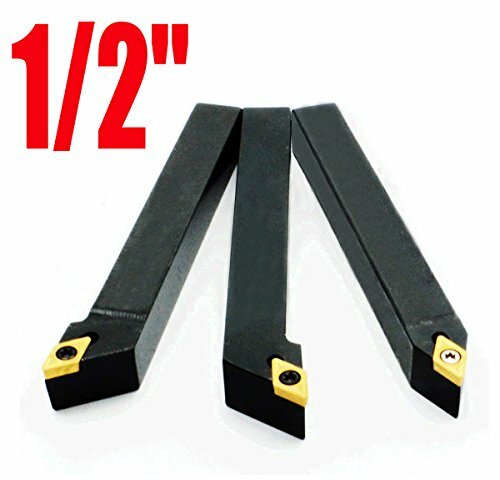 Overall Length: 4-1/2"
Black oxided smooth finish on each turning tool holder style and shank size. 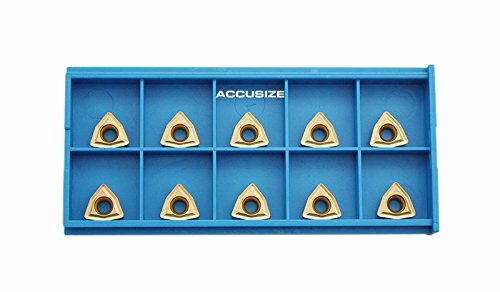 Including: 7 pcs indexable turning tool holder; 7 pcs TiN coated C6 carbide inserts; 7 pcs hex screws; 3 pcs hexagon keys; fitted Aluminum case. The cutting-off tool can only do cut off jobs. In regard to the other regular cutting, it's better to use the other 6 pieces of the set. 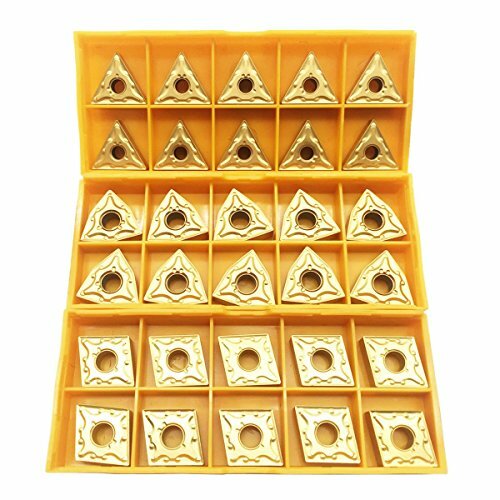 Carbide PVD coating of excellent combination; suitable for steel semi finishing. Positive cutting action, lower cutting force and better tool life. Good for cutting common steel. Sandvik Coromant DNMG 432-PM 4315, T-Max P Insert for Turning is part of the T-Max P product family. T-Max P is your first choice for general turning, stretching from small components to heavy machining. The inserts fit into all Sandvik Coromant high performance holding systems and can be used in a variety of applications in all materials. Geometries specifically designed for high pressure coolant are available for steel, stainless steel and HRSA materials. Cobra Carbide Clamp style turning insert. 11 Degrees relief angle. 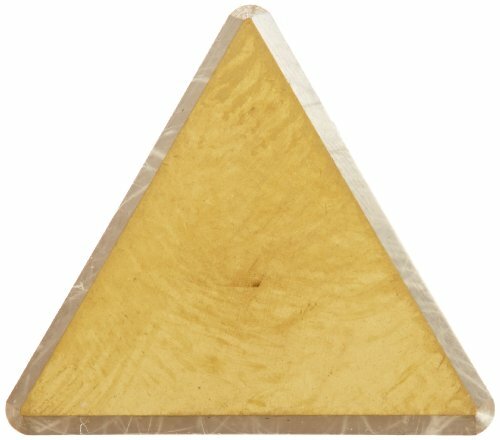 Triangle positive-fully ground. Single sided without chipbreaker. Used for difficult to cut materials. Feed range .003 to .030 IPR / 0.075-0.75 mm/rev. Multi layer coating TiN/TiC/TiCN/TiN for turning and milling carbon and alloy steels, tools steel and stainless steel. Provides longer tool life than uncoated grades Solid carbide tools offer long tool life and faster cutting speeds than other substrates, but are more brittle and must be used with rigid toolholding systems. BPS101 Black/Yellow Coating Grade. 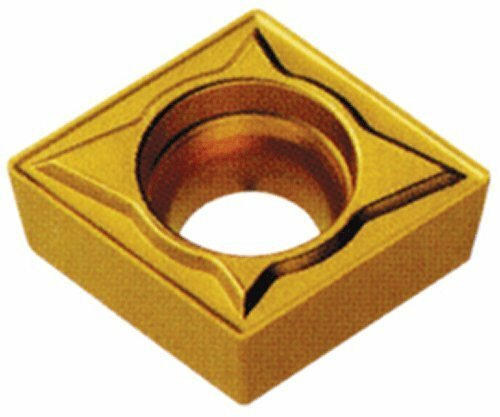 CVD coated carbide grade, wear-resistance materials coated on the gradient sintered substrate which has both good hardness, toughness. Can bear high temperatures. For steel and steel castings finishing to roughing processing. Continue cutting to light interrupted cutting. Machining of gray and ductile iron at low to medium cutting speed. For hard materials continuous cutting and light interrupted cutting from finishing to roughing. Wet and dry processing. Combination of fibrous TICN and fine grained Al2O3 increases abrasion resistance and anti-chipping. Preferred choice chip breaker on General Purpose Finishing. For medium-duty turning with broad capability for steel, stainless steel, grey and nodular cast-iron. Operations: turning, facing and profiling. Advantages: all-round, reliable with problem-free machining. Limitations: depth of cut and feed, risk of overloading the cutting edge. Components typically: axles, shafts, hubs, gears, etc. 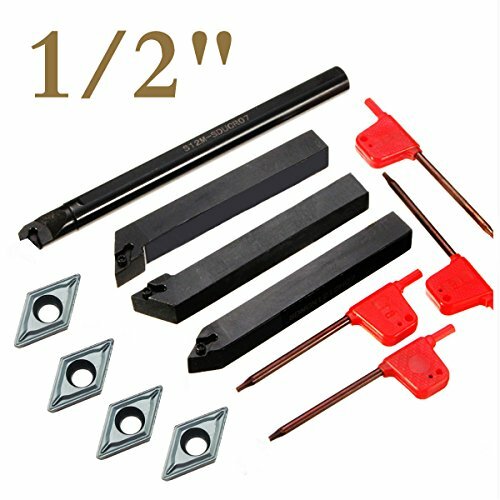 Each tool holder comes with a carbide insert with positive rake cutting angle and built-in chip breaker great for general purpose cutting action. 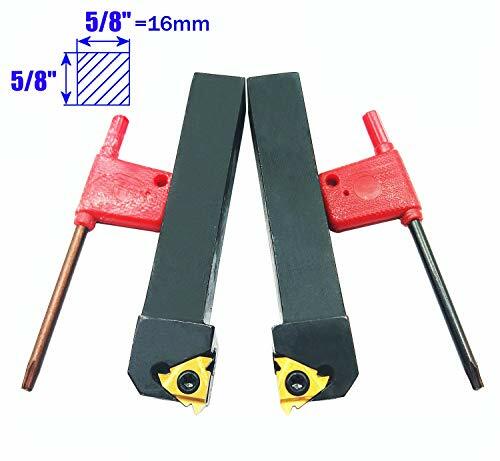 ----------The holder is made of 40MoCr material, vacuum heat treatment, tool hardness (HRC 48 degrees up and down) and precision are up to the first grade. If you have any questions, you can contact us immediately. 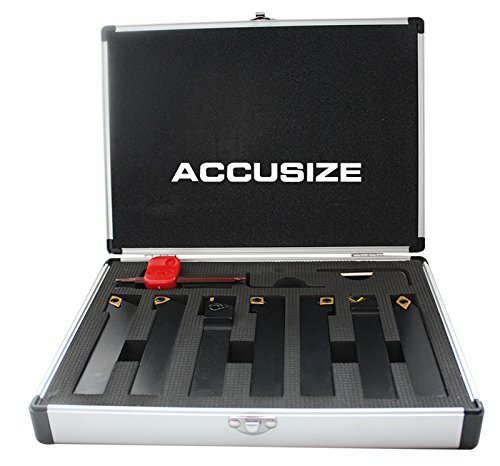 Blades exquisite workmanship, high strength, high toughness, stable and durable. 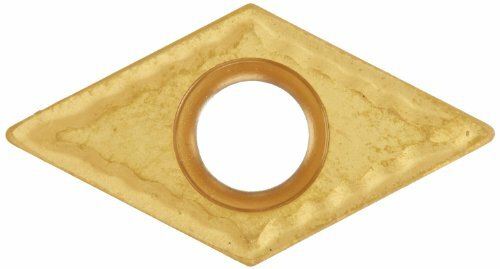 Cobra Carbide screw-on style insert for semi-finishing and finishing cuts. Chip breaker type CM-medium. 55 degrees diamond with chipbreaker. Single sided insert with molded chip breaker. 7 degrees relief angle. Feed range 0.003 to 0.012 IPR / 0.1-0.3 mm/rev. Multi layer coating TiN/TiC/TiCN/TiN for turning and milling carbon and alloy steels, tools steel and stainless steel. Provides longer tool life than uncoated grades Solid carbide tools offer long tool life and faster cutting speeds than other substrates, but are more brittle and must be used with rigid toolholding systems. 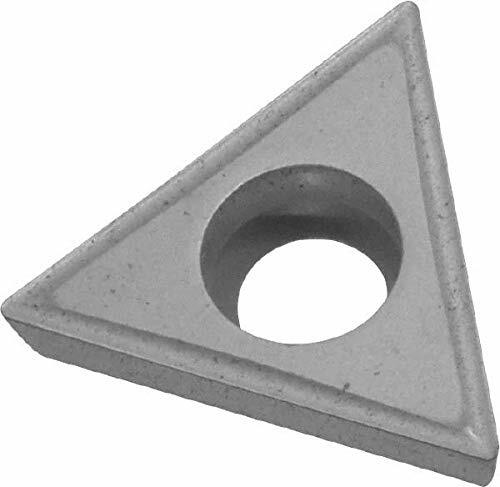 Cobra carbide turning inserts used on a wide range of materials triangle with chipbreaker and for turning and finishing on a wide range of materials. Screw-on style insert. Single sided for semi-finishing and finishing. 7 Degrees relief angle. Multi layer coating TiN/TiC/TiCN/TiN for turning and milling carbon and alloy steels, tools steel and stainless steel. Provides longer tool life than uncoated grades Solid carbide tools offer long tool life and faster cutting speeds than other substrates, but are more brittle and must be used with rigid toolholding systems.